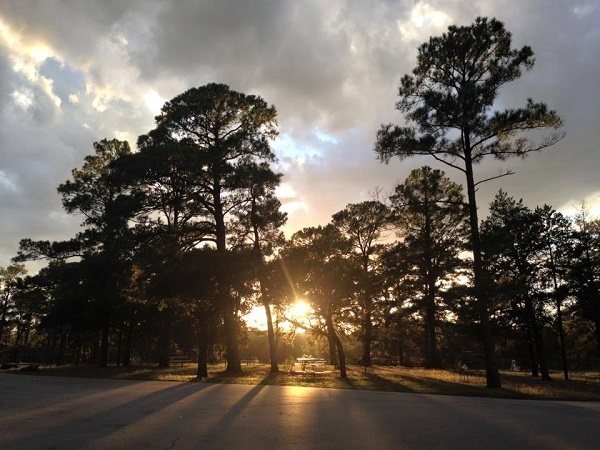 Bastrop is set among the “Lost Pines,” a unique pine-oak forest just 32 miles south­east of Austin. The parks lie in the ecological region known as the Post Oak Savannah. A mosaic of pines, oaks, shrubs, grass­land and mixed flowering plants create an environment im­por­tant to many species of wildlife. This includes the pileated wood­pecker, the largest of the woodpeckers. Many other species such as white-tailed deer, rabbits, squirrels, opossums, and armadillos live here. We will have several hikes over the weekend. - Hike seven miles of trail. Explore the growing forest, look for the new generation of loblolly pines, and witness the resilience of nature. 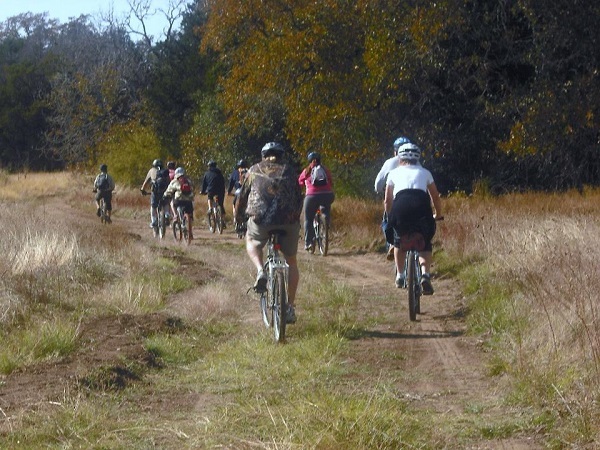 - Bike or drive scenic Park Road 1C between Bastrop and Buescher state parks. 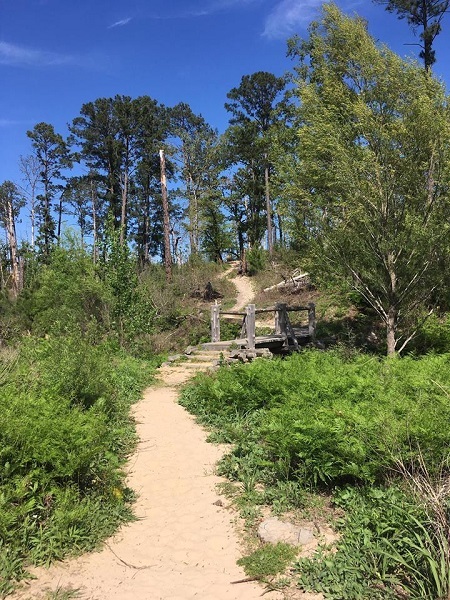 The hilly 12-mile road takes you through recovering and forested areas of the Lost Pines. - Fish in the ½-acre Lake Mina. They lend fishing equipment, and you do not need a license to fish from shore in a state park. 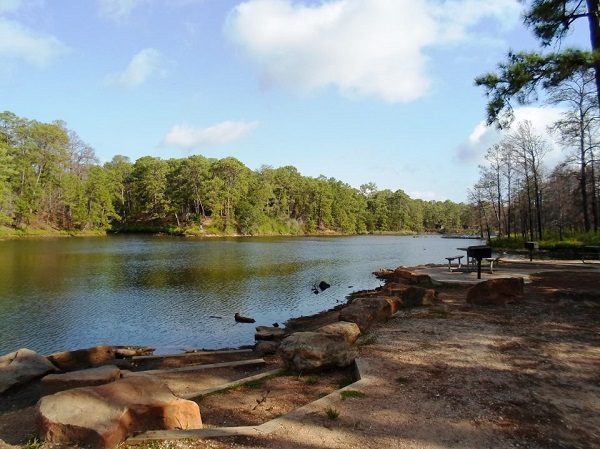 - Nearby Lake Bastrop offers 900 surface acres for water sports. The Lower Colorado River Authority runs this park, and charges an entry fee. - Visit the best wildlife viewing spots in the area on the East Austin Loop of the Great Texas Wildlife Trails. - Head west to Bastrop, which offers museums, music, parks, restaurants and more. - Austin offers big city amenities further west. - To the east, Smithville has its own attractions, including the Railroad Museum & Depot.